Sports charity Greenwich Starting Blocks had additional reasons to celebrate the return of our GB Olympic Athletes this week. The charity supported four talented athletes from the Royal Borough of Greenwich with financial and training awards to assist their progress to the Rio Olympic and Paralympic Games. 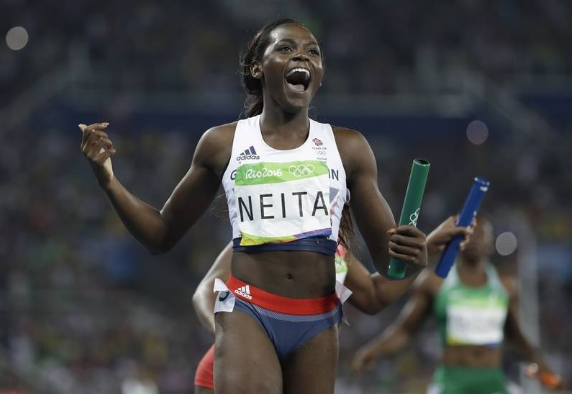 At just 19, Daryll Neita, was the youngest member of the GB 4x100m relay squad who not only set a new British national record but won Olympic bronze in the final. The team were the first British women’s team to win a medal in the 4×100 this in 32 years. Daryll has been supported through Greenwich Starting Blocks since 2014 and has made a significant rise through the UK Athletics rankings and is now an Olympic medallist. Before departing for Rio, Daryll explained how the charity sports award assisted her; “The award provided support to me in many ways, such as helping to contribute towards coaching fees, warm weather training camp fees, supplements and equipment which I will need on my journey to Rio”. 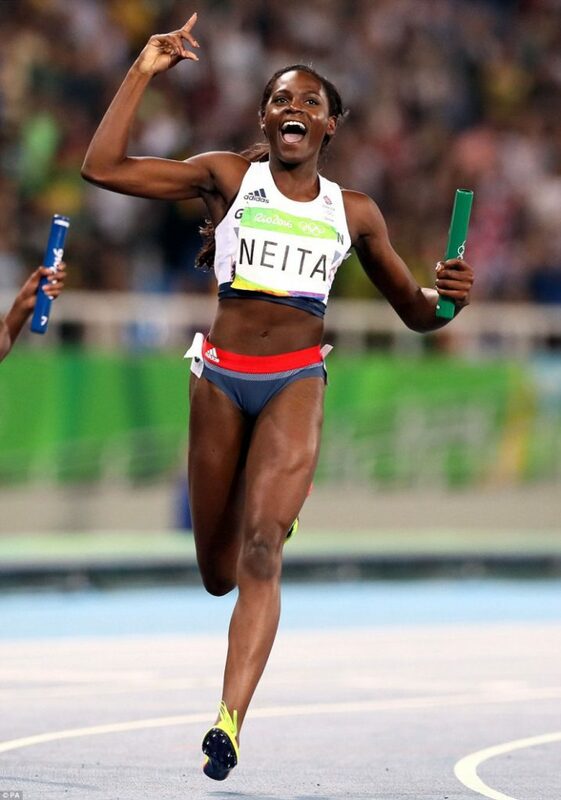 “I really do appreciate all the support I receive from Greenwich Starting Blocks”. Daryll was joined in Rio by Tosin Oke who competed for Nigeria in the triple jump and Ellis O’Reilly who competed in the Artistic Gymnastics competition for Ireland. In doing so, Ellis also made history by becoming the first ever female Irish gymnast to compete at an Olympic Games. Ellis said: “The award helps me to believe in myself more as a gymnast and supports my hard work”. Greenwich Starting Blocks’ current three times Paralympic medallist Susie Rodgers (S7 Swimming) is set to compete for GB in the Paralympic Games in September and hopefully bring home more success to Greenwich. Greenwich Starting Blocks Chairman, Peter Bundey’ explained “We are so delighted that Daryll delivered this fantastic medal-winning performance in Rio. She has burst onto the athletics scene at such a young age and will inspire so many other young athletes to strive to follow in her footsteps”. “With Tosin, Ellis, Susie and Daryll’s inspirational performances at the Games, I am sure that Greenwich Starting Blocks Charity can support even more future sports stars”. “I encourage the local Greenwich community to help support these and future athletes by attending our forthcoming fund raising dinner on Thursday 27th October from 7.00pm-11,00pm at the InterContinental London – The O2”. The four Greenwich-based athletes continue the strong tradition of Royal Borough residents competing at Olympic and Paralympics Games. During London 2012, the Borough celebrated the achievements of Tosin Oke, Paralympic Rugby player Andy Barrow, Olympic weightlifter Zoe Smith, while Gemma Gibbons secured a historic Olympic silver medal in Judo. Cllr Denise Scott-McDonald, the Council’s cabinet member for Culture, Creative Industries and Community Well-being said: “On behalf of the Royal Borough I would like to congratulate all our athletes on their successes and the best of luck to Susie in the Paralympics”. “Greenwich Starting Blocks has shown a vital role in supporting local sportsmen and sportswomen, with bursaries ensuring that the athletes have the means to train and compete, and ultimately achieve great success”. For details on the dinner please contact jack.hooper@royalgreenwich.gov.uk telephone 020 8921 8651.